DC motor we use has good electric and mechanical performance. Because of volume and metal brush commutator limit, the speed of DC motor is between 3000 to 12000 rpm normally. Faster speed will decrease motor life. Low noise DC motor with ring varistor inside is adopted, which can decrease electromagnetic disturbance to environment. DC motor life is depending on mechanical and chemical wear of metal brush and commutator. It can continuously run over 300 to 500 hours within rated load and speed. 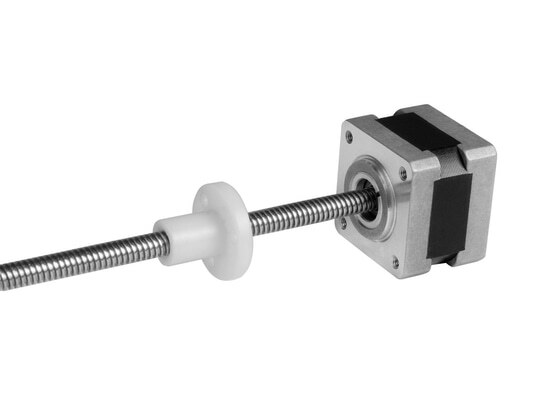 The load torque of DC geared motor has direct relationship with speed and current. When the load increases, the speed linearly decreases and the current linearly increases. 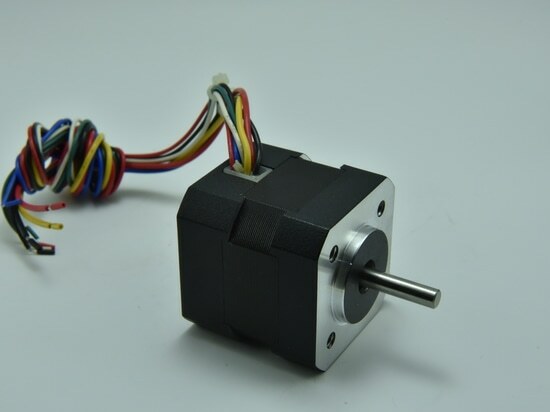 So the geared motor has better working near maximum efficiency, then it can obtain ideal running performance, working life and stable characteristic. 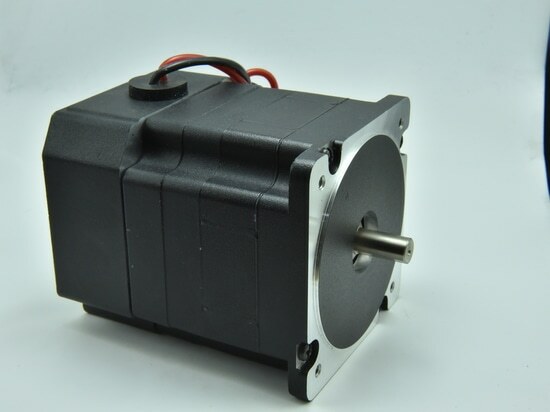 In general, the working environment of DC geared motor is the same as DC motor. If there are any special requirement, such as environment temperature, overload, and current limit, please illuminate in advance. Working life of gearbox usually longer than DC motor, it can reach 1000 to 3000 hours. Entire reduction ratio of gearbox is between 1: 10 and 1: 500. It can reach 1: 1000 with special design. 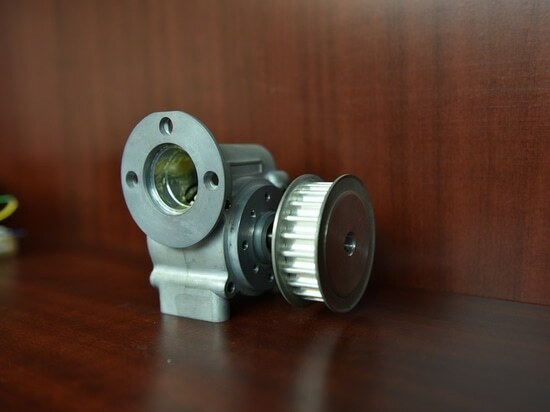 However, the gearbox with bigger reduction ratio is not allowed “counter rotation”, which means the output shaft of gearbox cannot be the driving shaft and counter rotated forcedly. The gearbox is combined with multi-pair of gears. Every pair includes gear wheel and pinion which is joggled one another. 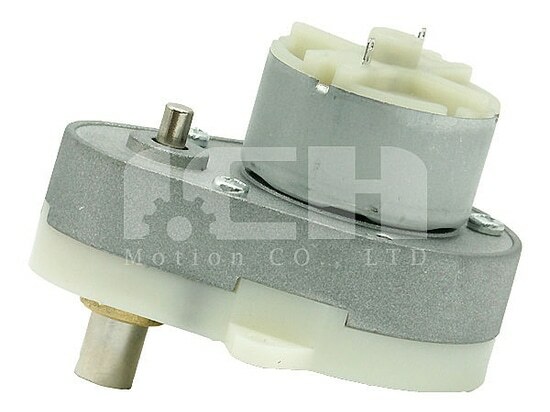 The first pinion is mounted on the motor shaft of DC motor. The bearing of gearbox output shaft is usually oil bearing made of brass or iron.